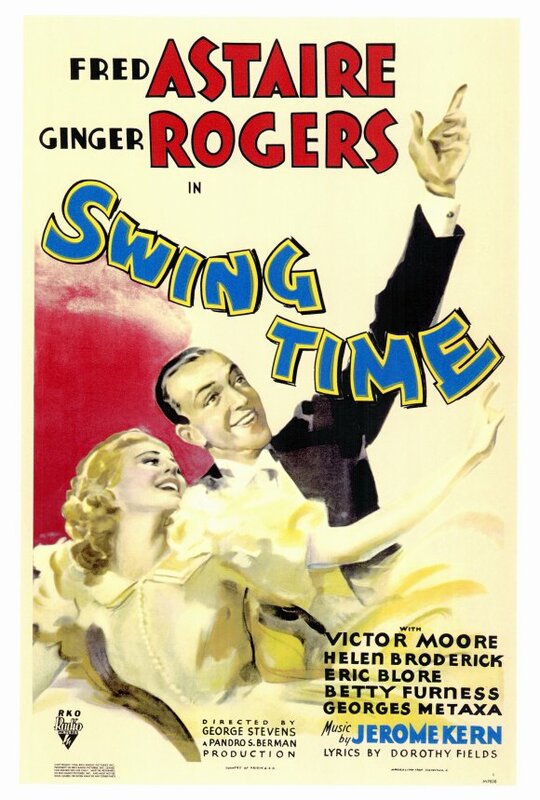 A Follow Spot: My Favorite Holiday Movies: "Swing Time"
I remember those New Years Eve TV marathons of Fred & Ginger! That's how I first saw most of these movies. And I think "Swing Time" IS my favorite of the series. It helps that I don't mind so much about Victor Moore (if nothing else, he's a link to classic Broadway of the 1930s). And although the plot hits a bump or two, for me they're minor especially when we get to the last scene and the running gag that we've been hearing all through as plans are frustrated -- "There isn't going to be any dance" -- becomes "There isn't going to be any wedding." That's right, in a Fred movie, dancing is equivalent to marriage. But most of all, the Fields-Kern score is woven into the fabric of the movie in a way that never happened before or after in the series. "Never Gonna Dance" is as wonderful as you said, and there's even more going on: it quotes a line of dialogue ("la belle romance, la perfectly swell romance"), it puns on her name ("left without a penny / left without my Penny"), and it quotes music and steps from several earlier songs. It becomes a culmination of the relationship, even as the relationship is agonizedly breaking apart. And then THE musical moment of the series for me: as F&G walk to a window so we can see the sun come out after all the snow, they sing the movie's two big ballads ("The Way You Look Tonight," "A Fine Romance") -- in counterpoint! And both songs are so good and distinctive, they gave no hint that they were designed to fit together. Sublime. Yay for singing and dancing!